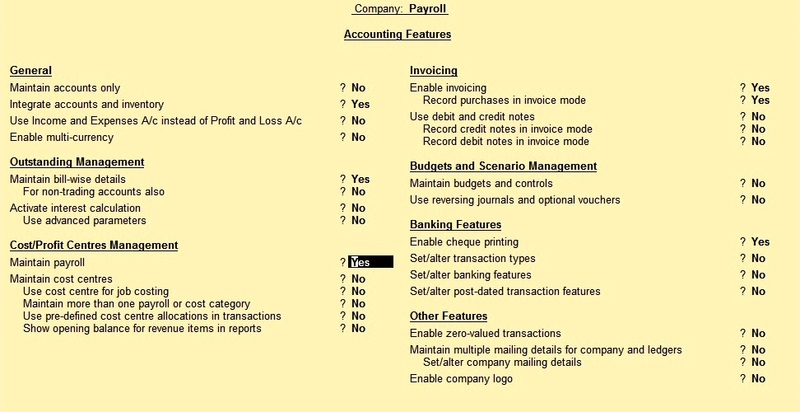 The payroll feature in Tally.ERP9 is fully integrated with accountig to streamline payroll processing. Organizations can set up, implement and process payroll using simple and complex criteria. A collection of predefined processes in Tally.ERP9 enables free automation of payroll process. We have too much request to provide Payroll Tutorials in TallyERP.9, so wait is over now. We provide tutorial on Payroll. Stay connected with us. Accept the screen to yes and again go to gateway of Tally. 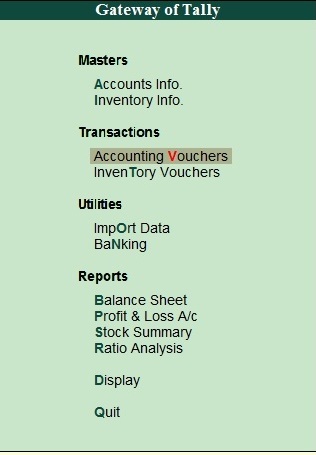 You can see there is option Payroll Vouchers Enable on your Screen. This tutorial show you how to enable payroll in Tally. In Next lesson we know about HOW TO ENABLE PAYROLL STATUTORY DETAILS IN TALLY.ERP9. Hello Sir i have done a mistake in payroll. when i was creating pay head in payroll by mistake i created employees name but after realizing the same i tried to delete the pay head it was not possible i thought to alter the employees name with EPF AND ESI now the ledger in the name of the employees is coming as current liability. please help in changing the employee group. First you have to remove the entire entry included the employee name for which you want to correct. Then delete the employee and create the same again and pass new entries. or if you already made lots of entries then create a seperate employee with same name and add special character in name. change the new ledger with existing ledger. It will be correct in your data.